So...my core lv is 7 and this is my latest network layout. I have rearranged my layout more than five times since I started playing hackers and it's the very last one. And I would really appreciate any review and suggestion on the layout. I really need suggestion on placing the scanner in right place. Because my network is not strong against steath attacks. So, is my network good enough? 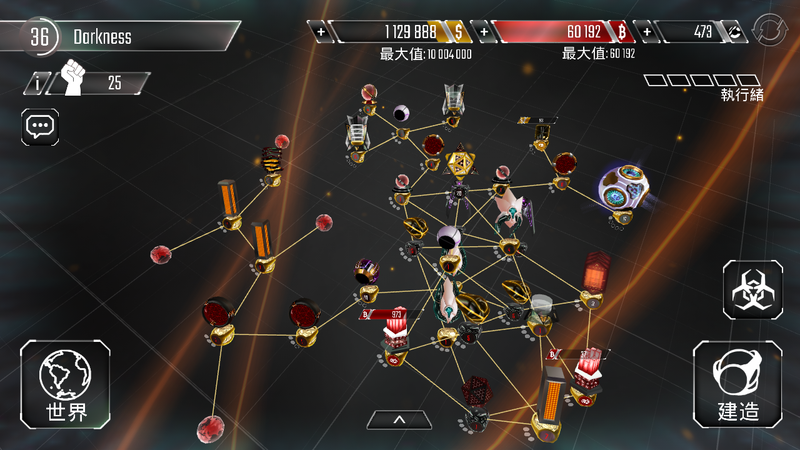 Ezme wrote: So...my core lv is 7 and this is my latest network layout. I have rearranged my layout more than five times since I started playing hackers and it's the very last one. And I would really appreciate any review and suggestion on the layout. I really need suggestion on placing the scanner in right place. Because my network is not strong against steath attacks. 1 code gates should be between the netconnections and the rest of your base, preferably covered by your best scanner. 3 do not upgrade two sentrys at the same time , they don't stack, one sentry at the back of your back should be max level for your core while the other sentry should be around middle front who's job is to secure nodes for your other sentry to update. Quit spreading misinformation! Guardians have 5 connection slots, 4 program slots. Low-level guardians can make good choke points if the security nodes they're connected to are upgraded well enough to smash through protectors. And connecting one or two high level Guardians to those security nodes can give them enough firewall that the choke point is troublesome for Shockers, too. And OP, here's a guide on stealth attacks and defense. After level 40 a single level 1 Guardian's shield is pretty much worthless. If you have a level 1 Guardian on hand (maybe you don't want to upgrade it and inflate your level) and have the security nodes to smash protectors, Guardian choke is worth considering. It's not something to unilaterally recommend against, as there are circumstances where it is viable. So..., I couldn't progress with the layout I have posted. So I have restarted. I am now core lv 6 with three turrets and two ice walls and two scanners. I've tried to make 3 choke points. Here's my network below, where you can see the three choke points. The first one is a scanner, second one is evolver, and the last one is scanner again. I hope I've done a good job But I would really appreciate your comments on it. Start upgrading one Sentry and one Scanner (only one of each) and move both Gates to the front of the network. Gates and Scanner for defense against stealth, Sentry for more damage overall. If you upgrade your farms and mines at all (which most people here recommend against), only upgrade one of each. You probably shouldn't connect your turrets to each other. Turrets don't change targets until they've defeated the first node they start shooting at, and antivirus alone won't recapture a turret from a competent hacker unless you have a high level Sentry and low level Turrets. I having one guardian choke as a example in my signature. No one hold in the guardian choke for long lol....(well..the first time they hack my base I mean lol..) It's a very good choke but only if you have 16 lv sentry + with Turrets and Black ICE being over 4 lvls.